November 20 is the 324th day of the year(325th in leap years) in the Gregorian calendar.There are 41 days remaining until the end of the year. 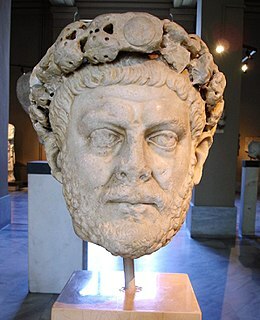 284 – Diocletian is chosen as Roman emperor. 762 – During the An Shi Rebellion, the Tang dynasty, with the help of Huihe tribe, recaptures Luoyang from the rebels. 1194 – Palermo is conquered by Henry VI, Holy Roman Emperor. 1407 – A truce between John the Fearless, Duke of Burgundy and Louis of Valois, Duke of Orléans is agreed upon under the auspices of John, Duke of Berry. Orléans would be assassinated three days later by Burgundy. 1695 – Zumbi, the last of the leaders of Quilombo dos Palmares in early Brazil, is executed by the forces of Portuguese bandeirante Domingos Jorge Velho - an event nowadays commemorated in Black Awareness Day. 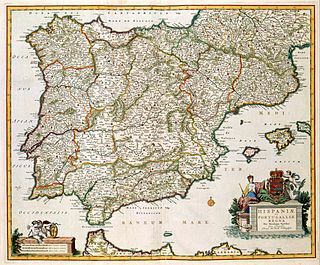 1739 – Start of the Battle of Porto Bello between British and Spanish forces during the War of Jenkins' Ear. 1776 – American Revolutionary War: British forces land at the Palisades and then attack Fort Lee. The Continental Army starts to retreat across New Jersey. 1805 – Beethoven's only opera, Fidelio , premieres in Vienna. 1845 – Anglo-French blockade of the Río de la Plata: Battle of Vuelta de Obligado. 1861 – American Civil War: A secession ordinance is filed by Kentucky's Confederate government. 1910 – Mexican Revolution: Francisco I. Madero issues the Plan de San Luis Potosí, denouncing Mexican President Porfirio Díaz, calling for a revolution to overthrow the government of Mexico, effectively starting the Mexican Revolution. 1917 – World War I: Battle of Cambrai begins: British forces make early progress in an attack on German positions but are later pushed back. 1936 – José Antonio Primo de Rivera, founder of the Falange, is killed by a republican execution squad. 1940 – World War II: Hungary becomes a signatory of the Tripartite Pact, officially joining the Axis powers. 1943 – World War II: Battle of Tarawa (Operation Galvanic) begins: United States Marines land on Tarawa Atoll in the Gilbert Islands and suffer heavy fire from Japanese shore guns and machine guns. 1947 – The Princess Elizabeth marries Lieutenant Philip Mountbatten, who becomes the Duke of Edinburgh, at Westminster Abbey in London. 1959 – The Declaration of the Rights of the Child is adopted by the United Nations. 1968 – A total of 78 miners are killed in an explosion at the Consolidated Coal Company's No. 9 mine in Farmington, West Virginia in the Farmington Mine disaster. 1974 – The first fatal crash of a Boeing 747 occurs when Lufthansa Flight 540 crashes while attempting to takeoff from Jomo Kenyatta International Airport in Nairobi, Kenya, killing 59 out of the 157 people on board. 1980 – Lake Peigneur drains into an underlying salt deposit. A misplaced Texaco oil probe had been drilled into the Diamond Crystal Salt Mine, causing water to flow down into the mine, eroding the edges of the hole. 1990 – Andrei Chikatilo, one of the Soviet Union's most prolific serial killers, is arrested; he eventually confesses to 56 killings. 1991 – An Azerbaijani MI-8 helicopter carrying 19 peacekeeping mission team with officials and journalists from Russia, Kazakhstan and Azerbaijan is shot down by Armenian military forces in Khojavend District of Azerbaijan. 1992 – In England, a fire breaks out in Windsor Castle, badly damaging the castle and causing over £50 million worth of damage. 1993 – Savings and loan crisis: The United States Senate Ethics Committee issues a stern censure of California senator Alan Cranston for his "dealings" with savings-and-loan executive Charles Keating. 1996 – A fire breaks out in an office building in Hong Kong, killing 41 people and injuring 81. 1998 – A court in Taliban-controlled Afghanistan declares accused terrorist Osama bin Laden "a man without a sin" in regard to the 1998 U.S. embassy bombings in Kenya and Tanzania. 1998 – Zarya - the first space station module component for the International Space Station was launched from the Baikonur Cosmodrome in Kazakhstan. 2015 – Following a hostage siege, at least 19 people are killed in Bamako, Mali. 2017 – The Georgia Dome in Atlanta is imploded. Year 284 (CCLXXXIV) was a leap year starting on Tuesday of the Julian calendar. At the time, it was known as the Year of the Consulship of Carinus and Numerianus. The denomination 284 for this year has been used since the early medieval period, when the Anno Domini calendar era became the prevalent method in Europe for naming years. 1988 – Aya Medany, Egyptian modern pentathlete. Year 270 (CCLXX) was a common year starting on Saturday of the Julian calendar. At the time, it was known as the Year of the Consulship of Antiochianus and Orfitus. The denomination 270 for this year has been used since the early medieval period, when the Anno Domini calendar era became the prevalent method in Europe for naming years. Maximinus II, also known as Maximinus Daia or Maximinus Daza, was Roman Emperor from 308 to 313. He became embroiled in the Civil wars of the Tetrarchy between rival claimants for control of the empire, in which he was defeated by Licinius. A committed pagan, he engaged in one of the last persecutions of Christians. Year 939 (CMXXXIX) was a common year starting on Tuesday of the Julian calendar. Numerian was Roman Emperor from 283 to 284 with his older brother Carinus. They were sons of Carus, a general raised to the office of praetorian prefect under Emperor Probus in 282. Year 763 (DCCLXIII) was a common year starting on Saturday of the Julian calendar. The denomination 763 for this year has been used since the early medieval period, when the Anno Domini calendar era became the prevalent method in Europe for naming years. Domhnall Mac Murchada, called Domnall Midi, was High King of Ireland. He belonged to the Clann Cholmáin branch of the Uí Néill. Clann Cholmáin's pre-eminence among the southern Uí Néill, which would last until the rise of Brian Bóruma and the end of the Uí Néill dominance in Ireland, dates from his lifetime. Agapius was a Christian martyr killed at Caesarea in AD 306. He is recognized as a saint by the Catholic Church. His martyrdom is recorded by Eusebius of Caesarea in his work The Martyrs of Palestine. Agapius was arrested in AD 304. He remained in prison for two years and was tortured on multiple occasions. He was brought out to the arena many times and presented to the judges. There he was threatened and reserved for later matches. The judges, Eusebius notes, must have been motivated either out of compassion or the hope that he might change his mind and renounce Christianity. Finally he was brought to the arena and presented to the emperor Maximinus. He was offered a pardon on the condition that he disavow his faith. According to Eusebius, he not only refused the offer, but he is said to have cheerfully rushed headlong into the bear. The animal inflicted severe injuries, but Agapius survived. Stones were affixed to his feet and he was drowned in the Mediterranean on the following day. Saint Ampelus is a martyr venerated by the Eastern Orthodox and Roman Catholic churches on Nov. 20. He was killed by Romans with his companion, Gaius, during the reign of Diocletian. 20-N is a symbolic abbreviation used to denote the date of death of two of the best known and controversial figures in 20th-century Spanish history. 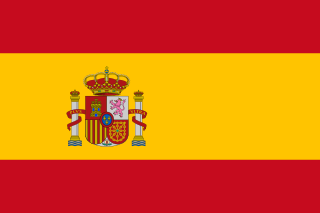 The first date, 20 November 1936, near the end of the first year of the Spanish Civil War, marks the execution in Alicante of 33-year-old José Antonio Primo de Rivera, the founder of the fascist party, Falange Española [Spanish Phalanx], who became extolled as a cult figure during the years of post-Civil War Estado Español [dictatorship] led by Francisco Franco. In Brazil, Black Awareness Day or Black Consciousness Day is observed annually on November 20 as a day "to celebrate a regained awareness by the black community about their great worth and contribution to the country". Wikimedia Commons has media related to November 20 . April 5 is the 95th day of the year in the Gregorian calendar. There are 270 days remaining until the end of the year. March 15 is the 74th day of the year in the Gregorian calendar. There are 291 days remaining until the end of the year. October 25 is the 298th day of the year in the Gregorian calendar. There are 67 days remaining until the end of the year. October 27 is the 300th day of the year in the Gregorian calendar. There are 65 days remaining until the end of the year. January 21 is the 21st day of the year in the Gregorian calendar. There are 344 days remaining until the end of the year. ↑ "José Antonio Alzate" (in Spanish). Government of the State of Mexico. Retrieved 19 November 2018. ↑ Wikisource. Retrieved 19 March 2018.